According to a Christian publication Victoria's Minister for Education has told a group of religious leaders his department "well and truly overreached" in changing guidelines to how religious instruction was to be delivered in state schools. Australia's Bible Society reported that Martin Dixon told a gathering of 70 Christian leaders on Tuesday that he was "totally in support" of special religious instruction (SRI) in public schools. The Government's guidelines, introduced in July this year in response to a report that found Access Ministries had distributed homophobic material at a Victorian school, banned outside religious organisations from holding prayer groups and giving out bibles in Victorian public schools. The Government has since issued a new directive, winding back the changes. In a statement to the ABC, Mr Dixon's spokesperson did not deny the Minister made the comments in support of SRI and defended the new directive. At the meeting between the Minister and Christian leaders, Mr Dixon was reportedly asked whether Christian parents could apply to schools that have cancelled SRI to have it reinstated, to which he said he would "encourage families and parents to do that".This is a totally inappropriate thing for the Minister to say and when put into context with changes to school Governence it heralds a worrying intrusion into the secular nature of state government education. The Government introduced a new form in term three, informing parents that SRI provided children with religious instruction in a specific religion, as opposed to a general education about the belief systems of different religions. "Each particular SRI offering is instruction in one faith only, provided by a church or other religious group," the form stated. 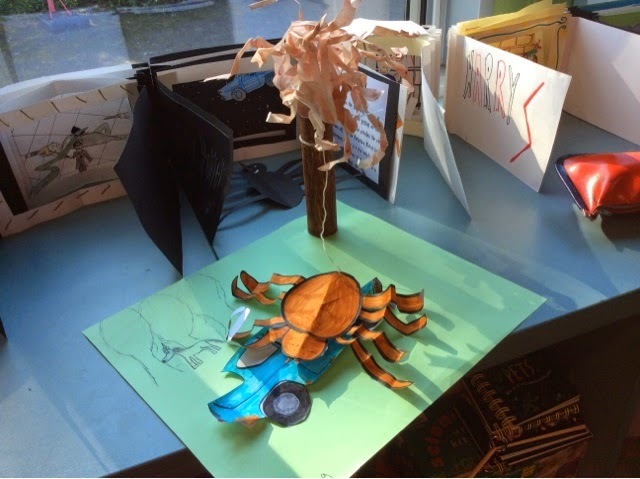 "Given the religious nature of the program, the Department of Education and Early Childhood Development does not endorse program content used to deliver SRI by accredited volunteer instructors." Since the form was introduced fewer parents had opted into the program, and more than 90 primary schools ceased to offer religious instruction classes. Glen Park hasn't had religious instruction since the 1990s. There are good reasons why parents are deciding to turn their backs on SRI in schools. Fairness in Religions In Schools (FIRIS) campaign coordinator Lara Wood said she was shocked by the Minister's reported comments. "FIRIS is surprised that the Minister would make a statement supporting SRI which implies that our public schools are deficient in providing the necessary values to its students," Ms Wood said. She said the group was concerned Mr Dixon was putting the interests of religious groups above parents' concerns. "We're disappointed that these groups seem to run the Minister's decisions of how he runs our schools," Ms Wood said. "We're disappointed that he's not listening to what parents want, he's not listening to parents' groups, the people that he's there to serve." Refer to ABC Online for the full story. We've been told for a while now that changes were not going to be made to School Governence but with the election only a few months away, apparently they have decided to drop a bombshell on the state school system. The State Government will today announce a 'Shake-up' of the state system.Parents will have the power to formally assess how principals perform and school councils will get new authority to shape the way classrooms are run. And school councils will also get a bigger say in the way education is delivered,by shaping the curriculum, for instance, or choosing subject specialisation. The government considered giving school councils full authority to hire and fire principals, but decided against it . They basically squibbed that even they they wanted to do it because they feared a political backlash. I think they can take that to the bank! But in another move that has already proved contentious, council presidents – who are usually parents – will be able to take part in the performance management of principals, advising the education department on how they are faring and what could be improved. School councils will also provide feedback on the delivery of the school strategy, a move critics fear could lead to some principals being unfairly punished if there are personality clashes with council members. Education Minister Martin Dixon said "You can't have a school governance model which is nearly 19th-century when you're educating kids for the 21st century," Not for the first time, he is wrong. Our current system of Governence goes back to the 1980s and has seen many changes since then. Many principals will be outraged, having previously told the government they would not tolerate "any involvement" by school councils in the performance management of principals. Australian Principals Federation president Chris Cotching warned that allowing parents to have formal input would cause deep divisions in schools, "particularly if pressure is brought to bear on a regional director to remove the principal." 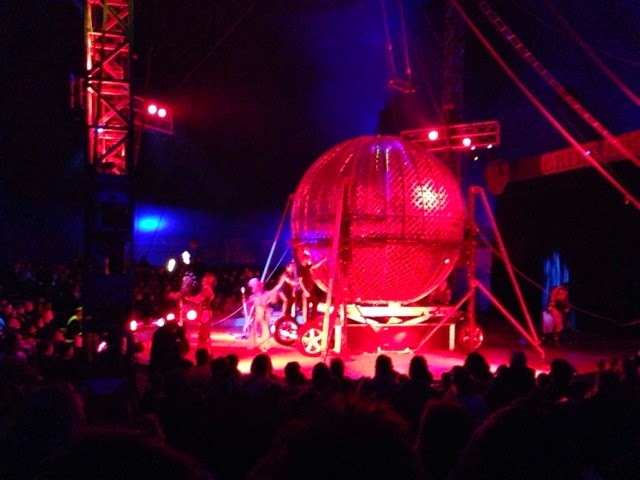 "This is madness and idiocy in the extreme," he said. I wonder what the VPA will respond to this with an election less than 100 days away? Will they pick a fight or accept a bone and roll over? School councils usually comprise parents and teachers, and can also include business and community leaders. 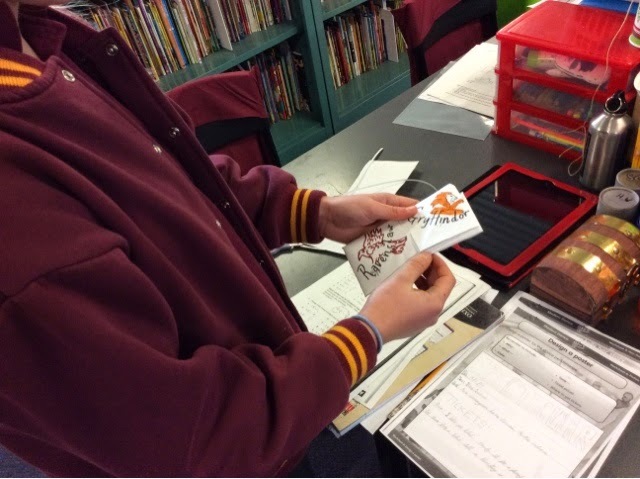 ( The potential is already there to do that and many school councils include co-opted members) Collectively, they have three broad responsibilities: overseeing the school budget, strategic planning, and implementing policies. But the way they operate varies depending on the school and the level of expertise on each council. 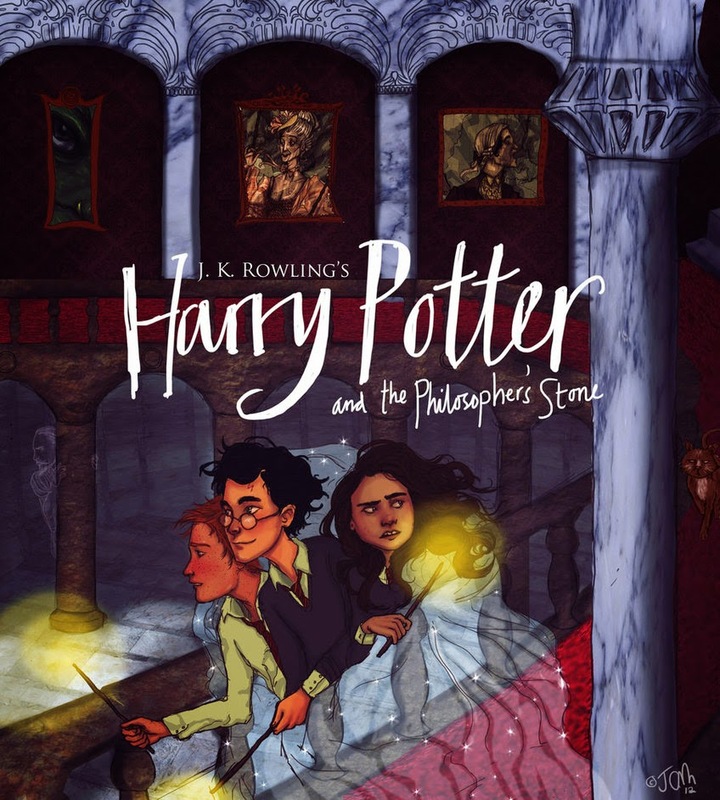 This morning I have put a 100+ page literature unit plan for Harry Potter and the Philosopher's Stone and The Chamber of Secrets onto Teachers Pay Teacher. Click on this LINK to access it. 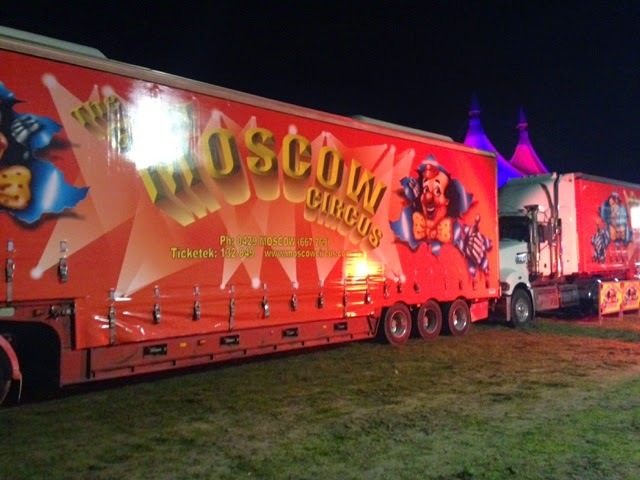 The Great Moscow Circus is in town and they very generously dropped off tickets for all of the kids at Glen Park. 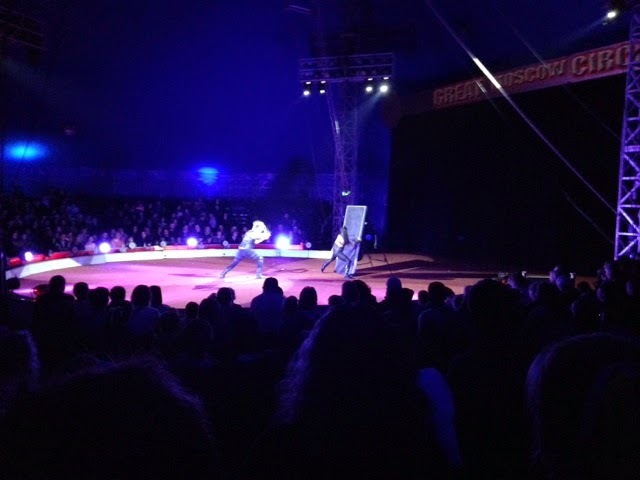 The circus was very good and included an excellent juggler/knife thrower, performing horses, acrobats, motor bikes in a big metal cage and clowns. Just notched up 26 000 views. Starting a new unit this week. 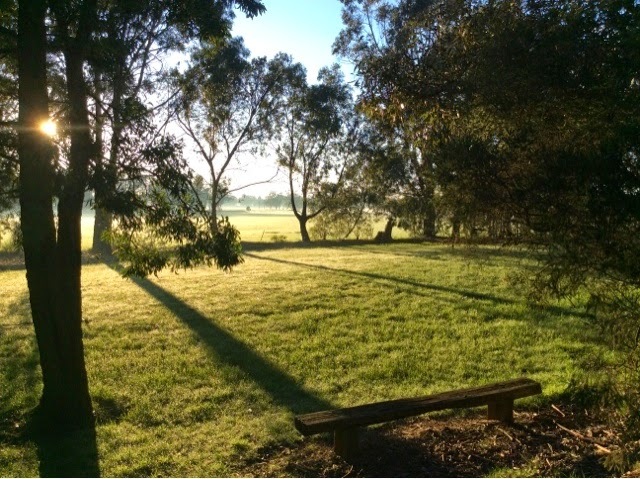 Lovely sunny ( nearly spring) day at school this morning. 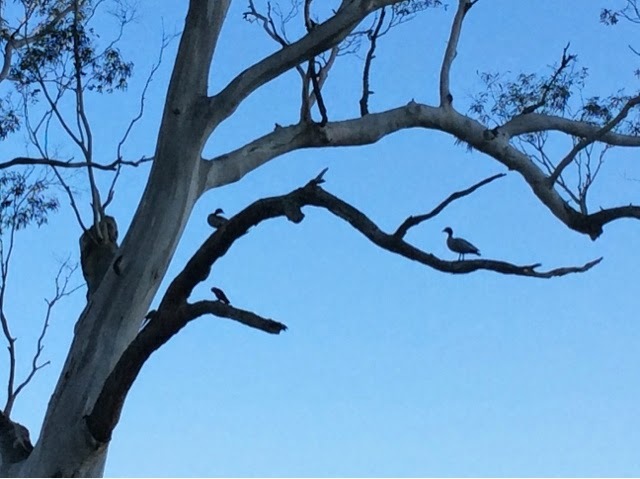 A odd collection of birds on the big gum tree across the road. 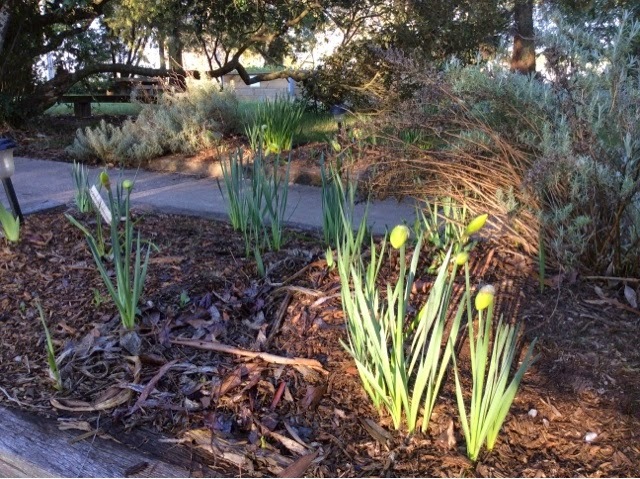 Our daffodils are starting to bloom. 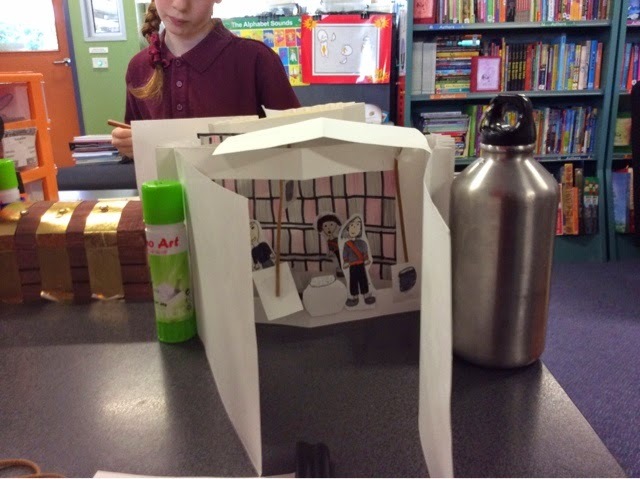 Printing using bubble wrap to make the mixture in the bottles of skele-gro from Harry Potter and the Chamber of Secrets. 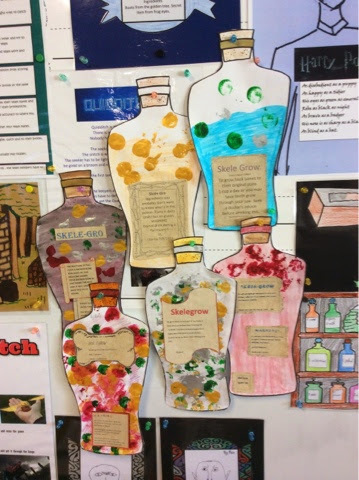 Skele- Gro bottles on display. 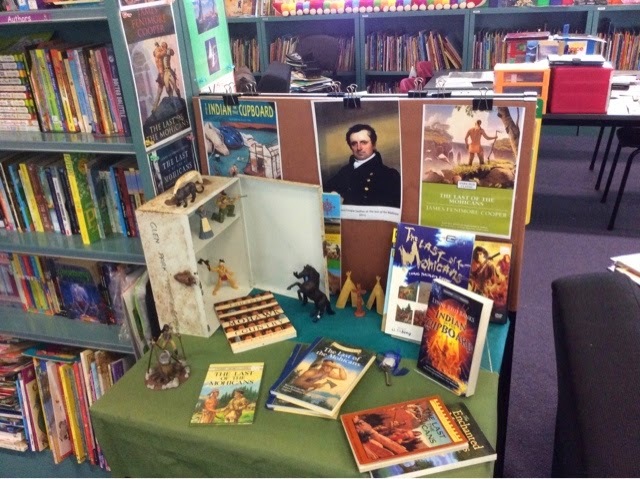 New display for The Last of the Mohicans and The Indian in the Cupboard that I put together this morning.I'll post my Harry Potter unit on TPT tomorrow. For the fiftieth anniversary of the publication of Charlie and the Chocolate factory, Roald Dahl's estate are releasing an unused chapter from the book. It introduces two extra naughty characters – Tommy Troutbeck and Wilbur Rice – and it was found among Dahl’s papers after his death at 74 in 1990. Dahl was drafting his first version of Charlie And The Chocolate factory when he published James And The Giant Peach in 1961 – but it was reportedly binned after his young nephew said it was rubbish. 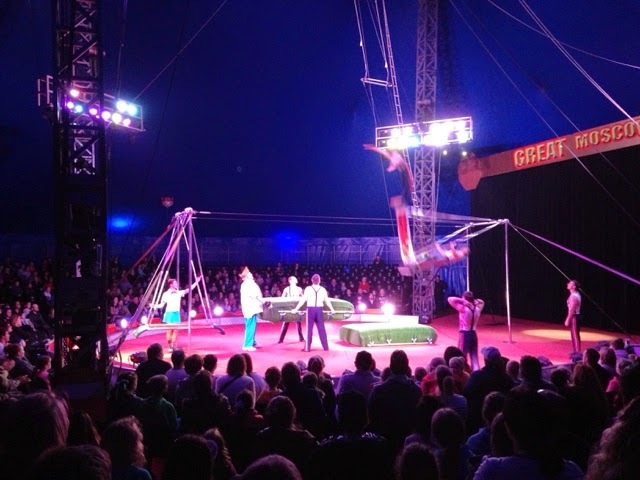 The draft section tells how penniless but kind-hearted Charlie Bucket – who in this version is accompanied to the factory by his mother rather than Grandpa Joe – visit Vanilla Fudge Mountain with the other children. Hundreds of men use picks and drills to work away at what Dahl called the ‘colossal jagged mountain as high as a five-storey building’ made of ‘pale-brown, creamy, vanilla fudge’. 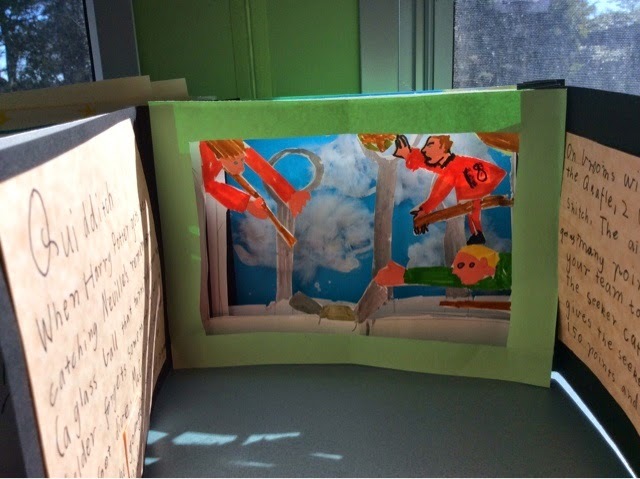 But Tommy and Wilbur ignore Wonka’s warnings and jump on the wagons which enter a tunnel that leads to the Pounding and Cutting Room where the fudge is pounded by a huge machine and cut with knives. Unsurprisingly, nothing more is heard of the two boys. The chapter also reveals several changes made to the original draft before it was published in the US in 1964 and the UK in 1967. 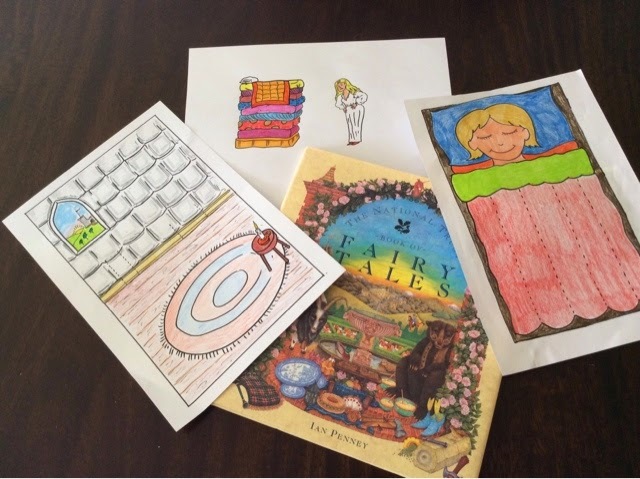 My Roald Dahl activities are available on TPT. 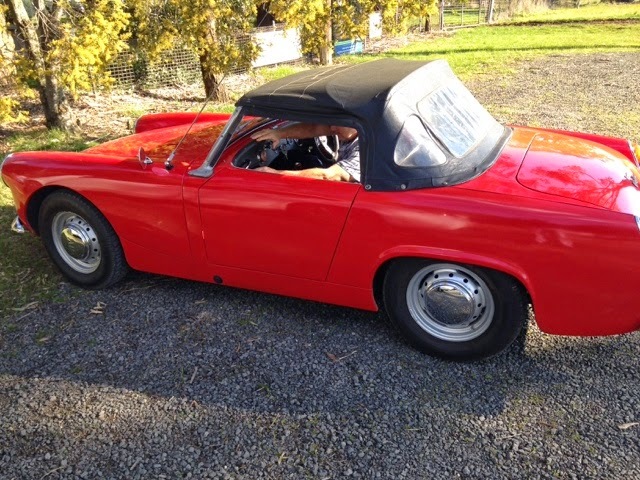 Last week, Steve our school's tech guy took me for a burn around the block in his 50+ years old red Austin convertable once the kids had gone for the day. 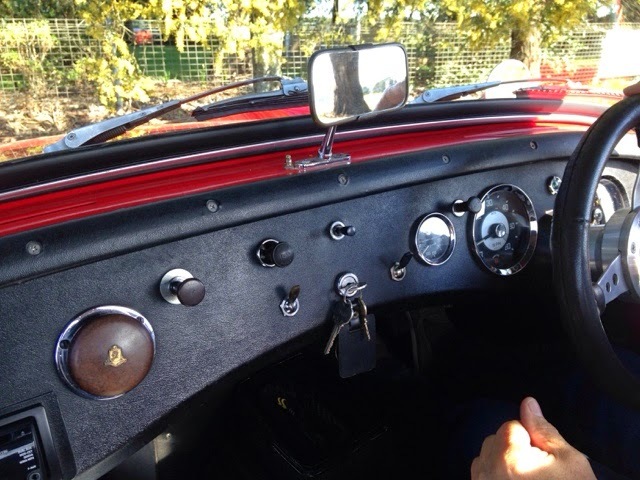 It was a tight squeeze but very comfy once you settled in. Another beautiful (almost) spring day! below- First thing this morning when I walked through the gate. 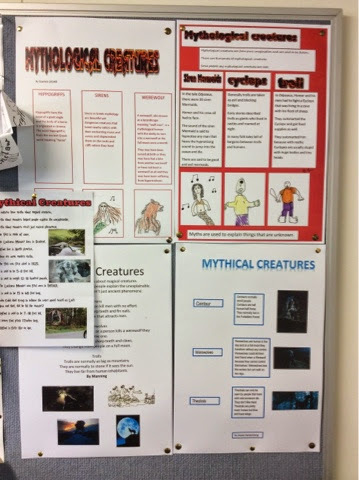 Information reports for Mythological creatures. 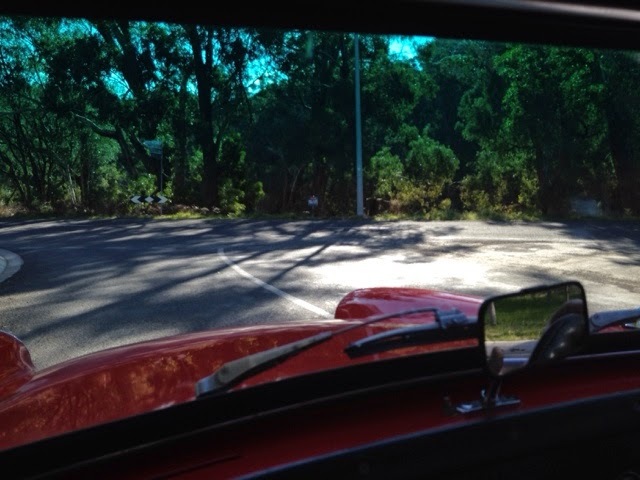 Eragog attacking the Ford Anglia model. Higher fees for Uni courses. legislation introduced. During a rowdy sitting day in parliament Christopher Pyne and the Abbott Government introduced legislation that will radically transform our higher education system. These changes not only cut funding to universities, but could allow universities to charge $100,000 for a degree. It’s not fair that Australians who dream of a university education will have to choose between buying their first home and getting a degree. University education should be accessible to everyone, regardless of their background. It’s not too late to stand up for what’s fair -- this legislation is yet to be debated in the Senate. Labor has been out talking to students and staff at universities all across Australia and the message we’re hearing is very clear: Australians will simply not stand for $100,000 degrees. Click here to sign our petition against the higher ed changes today. Further worrying research. Where is the accountability? Victorian students at government schools in the country are almost seven months behind city students in reading as early as year 3, according to disturbing new research. The analysis finds that students at government city schools (Melbourne and Geelong) consistently perform better than their rural and regional counterparts in NAPLAN and VCE results, school attendance, year 12 completion rates and access to university. One reason is that parents of rural students tend to have less formal education and are less likely to be employed in professional occupations, such as medicine, law and banking. 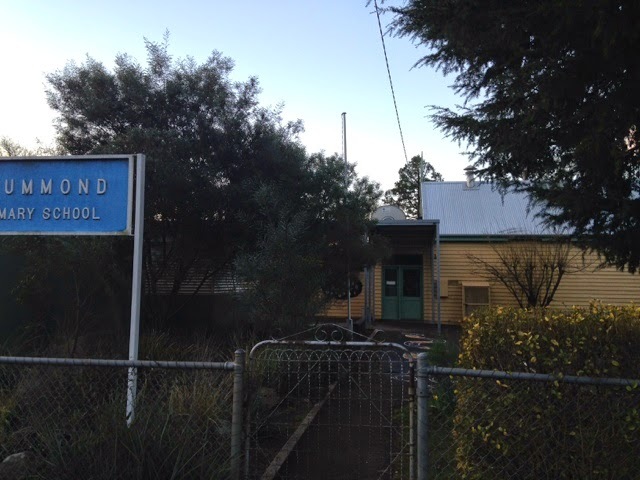 However the research by Victoria University, found this did not explain all of the gap in performance between urban and country students, because rural schools face major challenges.It said OECD research has found that rural schools are smaller, more likely to have a shortage of teachers, have less resources and support staff. It found the educational disadvantage at country government schools started early. 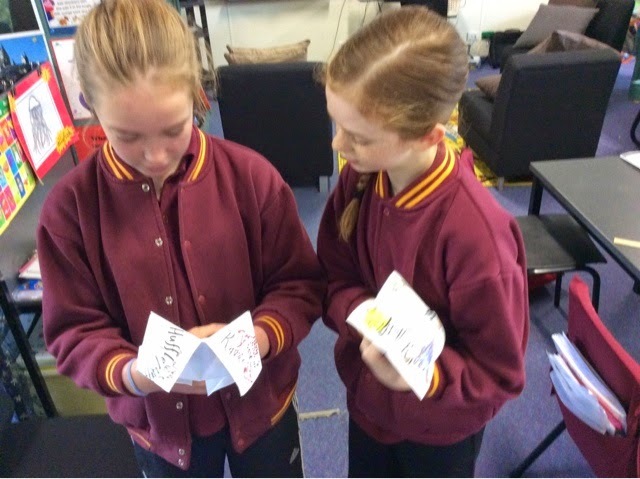 The mean NAPLAN score for reading in year 3 was 20 points higher at government schools in major city areas, which represents almost seven months of learning, reflecting differences in family wealth and education. The improvement in literacy between years 3 and 5 (when students sit NAPLAN tests) was also lower outside the city, which meant rural and regional students who are already behind in year 3 fall further behind. In VCE English, a subject taken by most students, the mean score at government schools in 2012 was consistently lower for regional and rural students, ranging from 30.9 in a major city to 28.3 in a rural area. And according to the latest On Track data, almost 40 per cent of Victorian students from non-metropolitan areas who completed Year 12 did not continue with education or training in 2013 compared to 22 per cent from metropolitan areas. 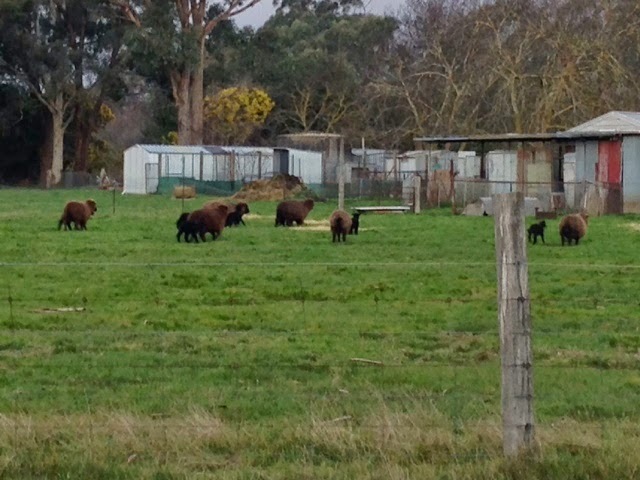 She said the plan aimed to improve education results at every stage of life in rural and regional Victoria. She said country schools had difficulty attracting staff, particularly specialists in maths and languages. It was also hard for teachers to attend professional development because of the distances and costs involved and the challenge of finding replacement staff. "The root cause of many of these issues is a resourcing problem, particularly when dealing with small schools that need additional funding to make up some of that gap," Ms Peace said. According to the Age today the Abbott government is poised to announce a revamped school chaplaincy program following two High Court rulings that the program is constitutionally invalid. abbott wants the scheme to remain restricted to religious workers despite a cabinet discussion on Monday About including a secular option for schools. Prime Minister Tony Abbott argued against a change in the cabinet meeting. 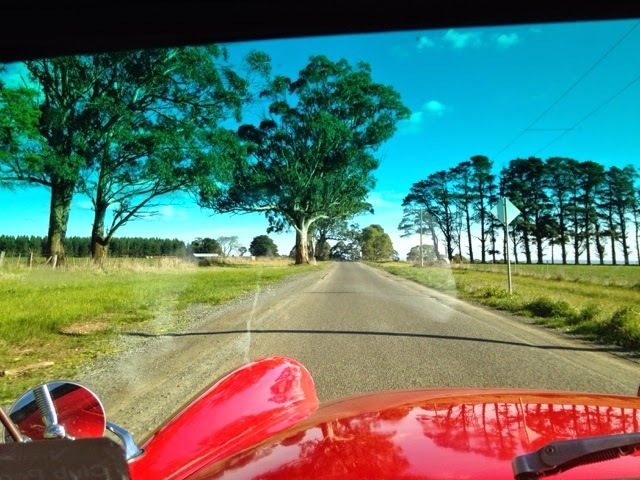 In a bid to prevent another High Court challenge, the federal government will direct funding to state and territory governments rather than to chaplain providers.Hopefully a new Victorian government later in the year will ensure secular professionals can be employed. 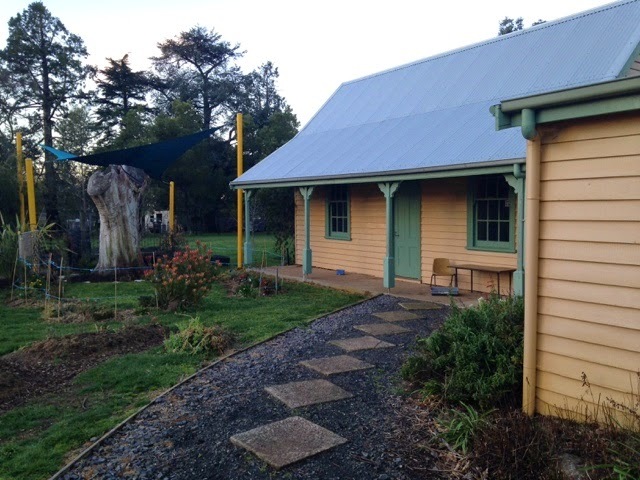 The chaplaincy scheme was introduced by the Howard government in 2006. Labor expanded the scheme to include secular workers in 2011 – an option the government scrapped in this year's budget. Both challenges in the High Court were brought forward by Toowoomba father Ron Williams, a secularist opposed to public funding for religious workers in public schools. Labor and the Greens both oppose restricting the chaplaincy scheme to religious workers. Opposition Leader Bill Shorten said in June: "Labor certainly does not support restricting chaplains to just religious organisations. "We think this is taking the education system down the wrong track." 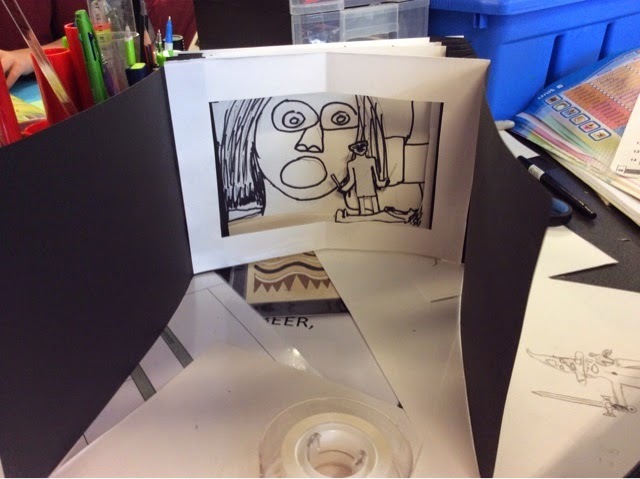 The kids finished their tunnel stories today. 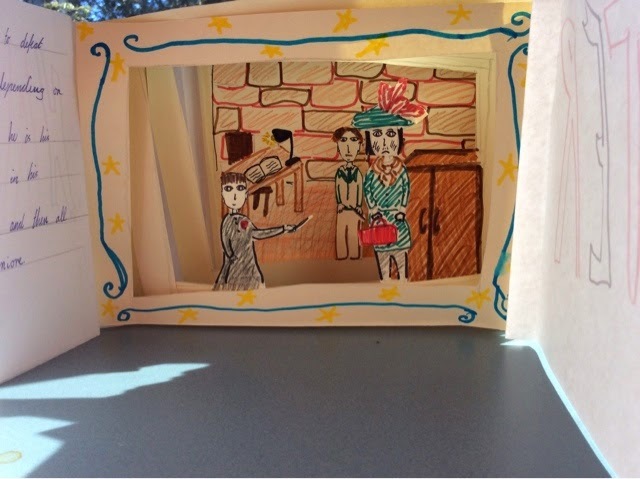 below is a photo of all of them displayed and some photos of their completed scenes. American kids are getting ready to head back to school. But the schools they're heading back to differ dramatically by family income.Which helps explain the growing achievement gap between lower- and higher-income children. Thirty years ago, the average gap on SAT-type tests between children of families in the richest 10 percent and bottom 10 percent was about 90 points on an 800-point scale. Today it's 125 points! The gap in maths abilities of American kids, by income, is one of widest among the 65 countries participating in the Program for International Student Achievement. On their reading skills, children from high-income families score 110 points higher, on average, than those from poor families. This is about the same disparity that exists between average test scores in the United States as a whole and Tunisia.The United States is one of only three, out of 34 advanced nations surveyed by the OECD, whose schools serving higher-income children have more funding per pupil and lower teacher-student ratios than do schools serving poor students. There is a lot Australian politicians can learn about what not to do as far as education funding when it comes to what happens in the US. Worryingly our conservative politicians appear to see US funding models in health and education as an example for us. 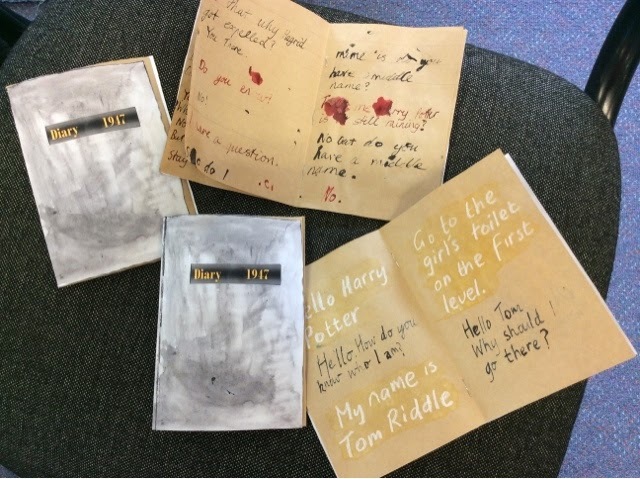 We were busy today creating tunnel books for Harry Potter. 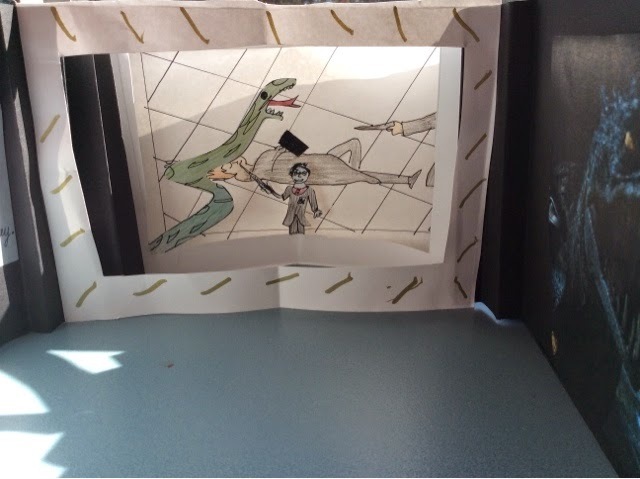 Children chose a variety of scenes such as Quidditch, Harry fighting the Basilisk, The whomping willow and other events from the first 2 books. 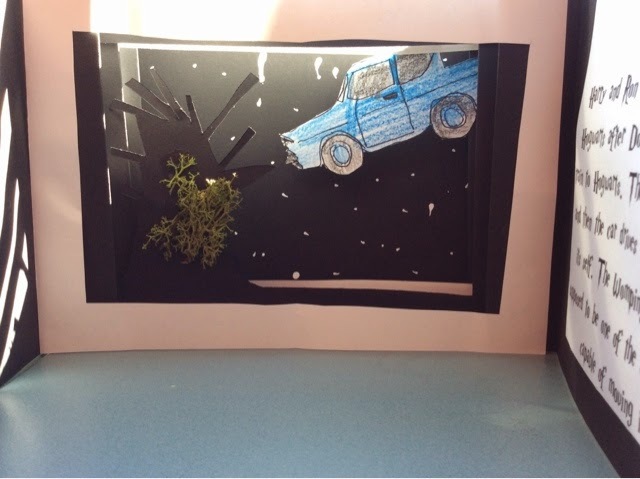 Below are images of the children's work. I'll post more when they are finished. 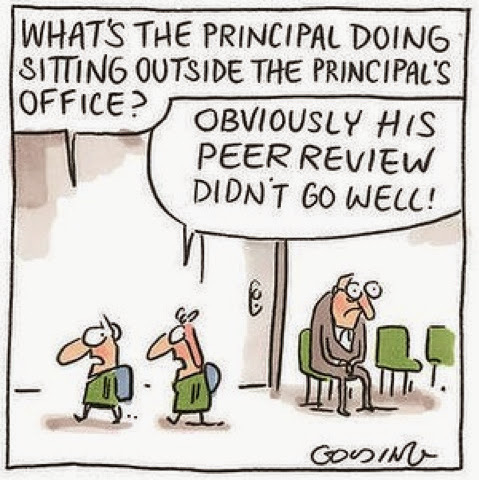 Cartoon from the Age about the new school review process. 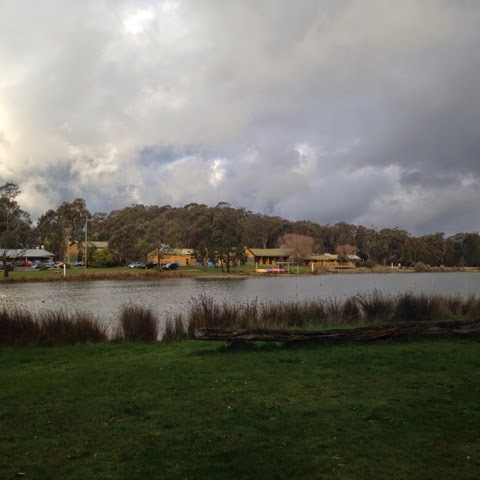 Today I drove to Kyneton to check out the Campaspe Camp and Resort as a venue for our 2014 school camp. 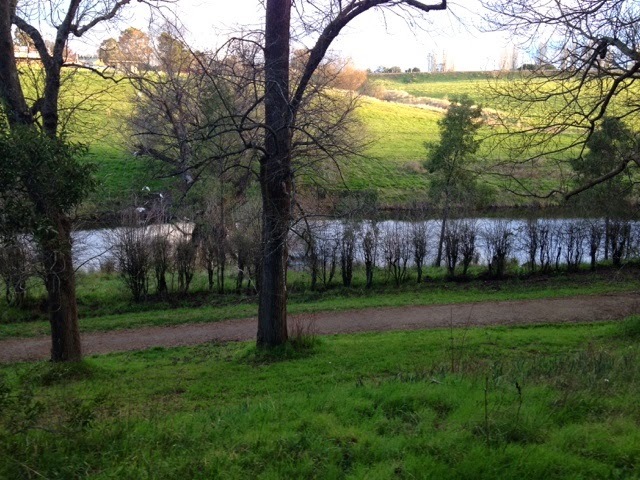 It is a fantastic location. It has recently changed management and they are updating their buildings and infrastructure. 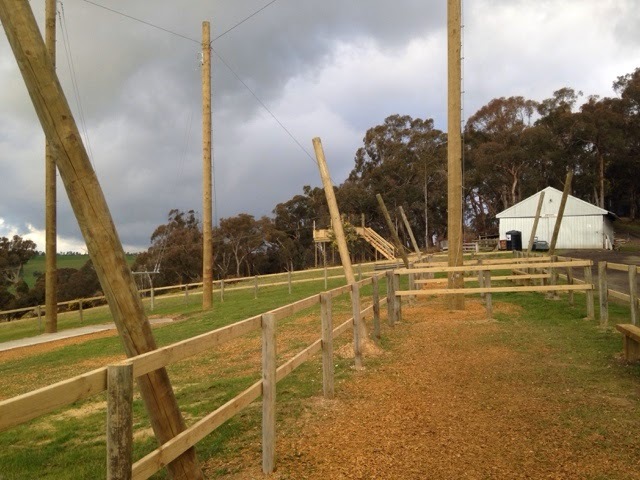 Pictures of the lake and accommodation buildings, the dining room and some of the outside adventure equipment including climbing wall, giant swing and flying fox. They also have a heated indoor pool and quad bikes. The facilities look a bit tired but they are currently upgrading it all and it should look great when we go there in December. 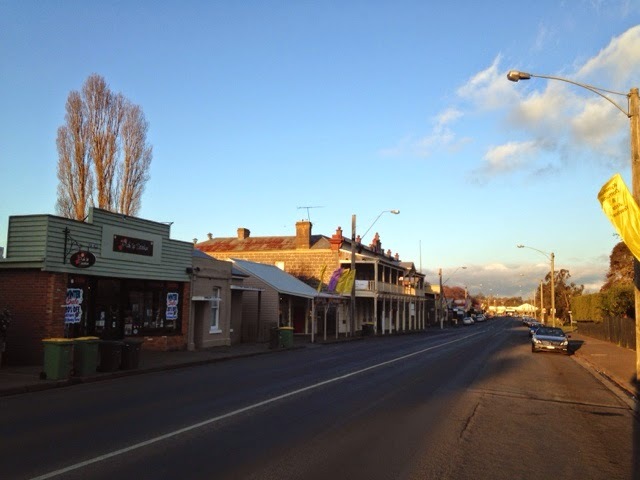 As I passed through Kyneton I took photos of the Campaspe River , Kyneton Town Hall and historic Piper Street. 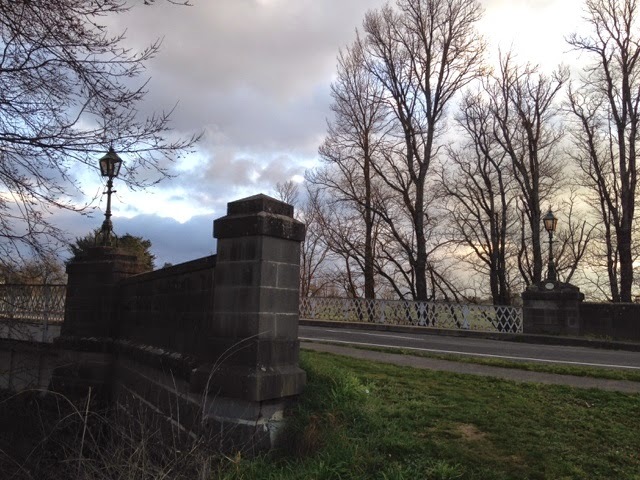 I drove through Lauriston ( Ned Kelly apparently robbed a Chinese hawker in Lauriston and spent some time in the Kyneton lock-up.) I stopped off at Drummond Primary School. 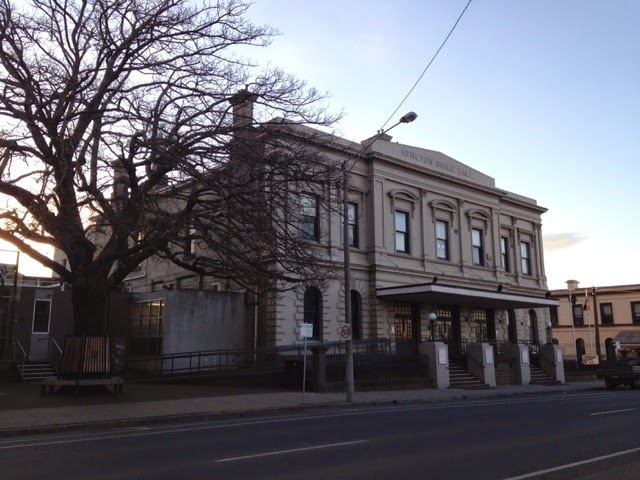 ( This was the first school I taught in when I returned to Victoria in 1987) The school looks great. it has a fantastic garden and a new BER building like we have? 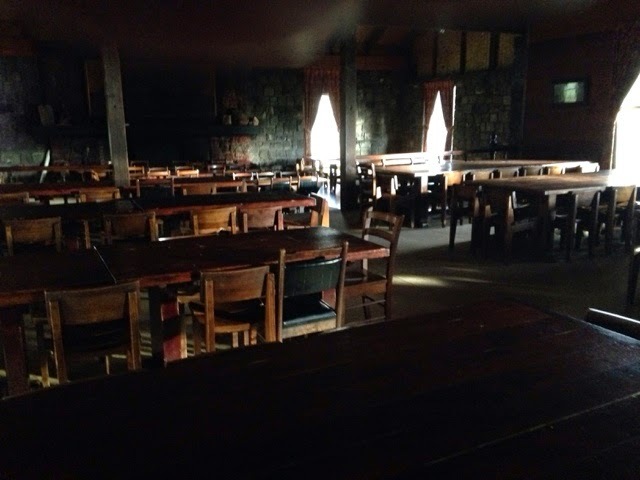 I also took a photo of the old school house, attached to the original school room. 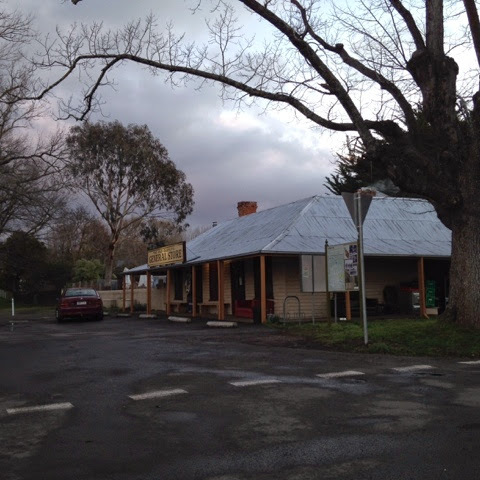 I also passed through Glen Lyon and took a photo of the old general store and a paddock full of black sheep. 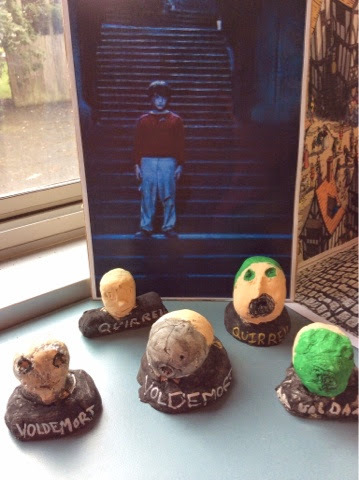 The grade 4-6 kids finished their Voldemort/Quirrell statues. If the Federal Government's slash and burn policies to higher education aren't bad enough....they have now ( obviously) leaked their plan B if those cuts and fee increases don't get through. The federal government is apparently examining slashing billions of dollars worth of research funding from universities if Parliament blocks its sweeping higher education changes. University vice-chancellors are alarmed by the "doomsday scenario", which they say would damage Australia's $10 billion export market for international university students. Education Minister Pyne plans to introduce legislation into the House of Representatives on Thursday to deregulate university fees, cut course funding by an average 20 per cent and increase the interest charged on student loans. These cuts and dramatic fee increases will have a major impact on rural students and their families. The opposition and other parties oppose these changes. According to the Sunday Age A senior government source said universities should be wary of "cutting off their nose to spite their face". if that isn't a threat then what is? Labor higher education spokesman Kim Carr said: "The government's only option is to withdraw this package and start again. "The whole point of its policy was supposed to be boosting the international standing of Australian universities. "Perhaps we need research into how to cure foot in mouth from members of this government." On the other hand Pyne says that "these reforms will dramatically change university for the better, they will provide more opportunities for students, they will give our universities the chance to gain the revenue they need to become ... some of the best universities in the world," Today Pyne refused to reject cutting funding for research saying it was the worse- case scenario. He seems happy to promote a policy of electoral blackmail. Of course some universities who want to see themselves as mimicking 'posh palaces of exclusive learning' welcome the opportunity to embrace US and UK style 'ivy league' higher learning but will panic if they lose their research grant billions. Sadly higher education changes are dependent on a motley mob of cross bench senators who I have no confidence in at all. 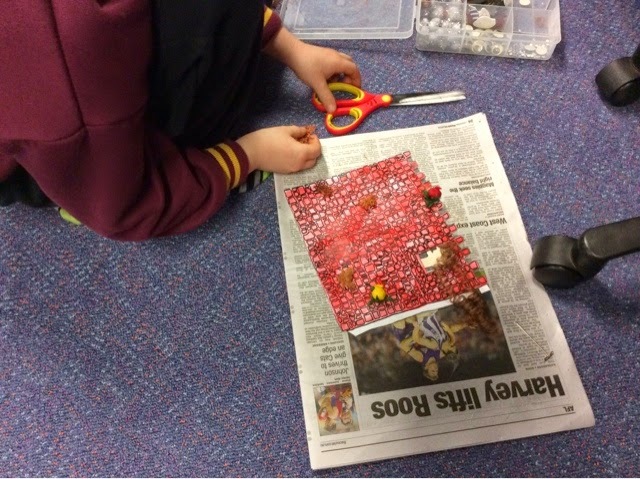 A school which radically changed its learning hours, sending students home at lunchtime 'to capture their peak learning time' has reported amazing results. 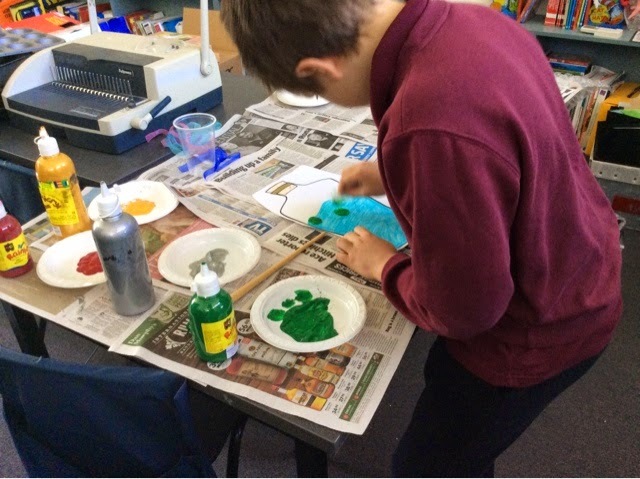 Merrylands East Primary School (MEPS) in Sydney's western suburbs begins its classes at 8am and has back-to-back classes, plus a 30-minute break, until 1.15pm. The Queensland University of Technology conducted a two-year study and found the restructured day has had 'a tremendous impact'. 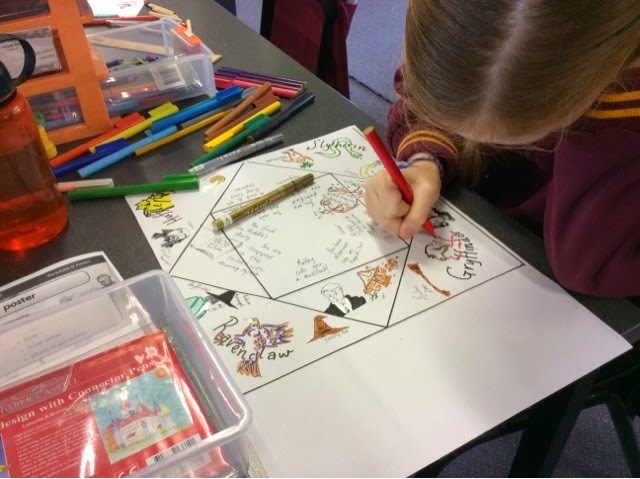 'They particularly found that the engagement has risen in the boys and is consistent for the girls,' Principal John Goh told Radio National, adding students were more engaged and found learning more enjoyable. A homework centre operates from 1.15pm to 3pm to help working parents. Mr Goh also introduced new classroom layouts and increased the use of technology. 'We have minimal furniture. Not every child has a chair or a table because we know children don't always learn best at a desk,' he said. The furniture includes round tables, booths and bean bags to allow for a range of different work behaviours. Queensland University of Technology's Professor Linda Graham said: The teachers report far fewer kids getting into trouble due to lunchtime argy-bargy and they are not tired and emotional in that relatively useless last session of the day. While I was working away at DEECD red-tape It is worth reflecting on promises made by the current government that they'd cut red-tape by 50% at the last election. 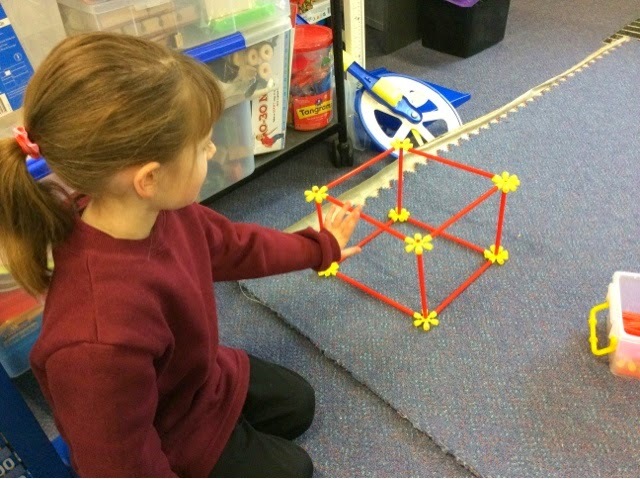 One of the preps made an excellent cube on Friday. 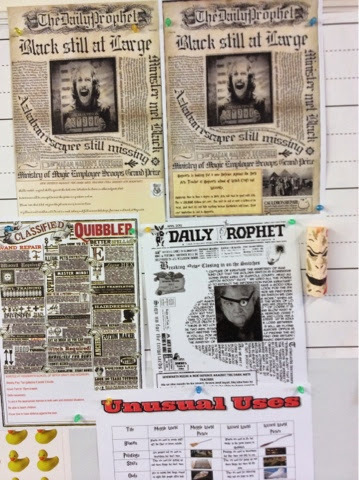 The grade 6 kids wrote school rules for Hogwarts students and wrote advertisements for Defence Against the Dark Arts teachers and put them on Daily Prophet templates that you can find if you google 'Daily Prophet templates' There are loads to choose from. 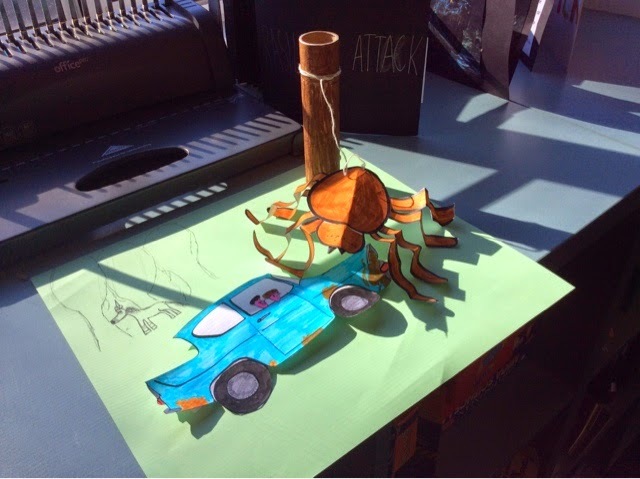 Below is the Rapunzel tower that my grade 2 boy finished today. we used doll hair ( which you can buy by the bag) and glue gunned it together. 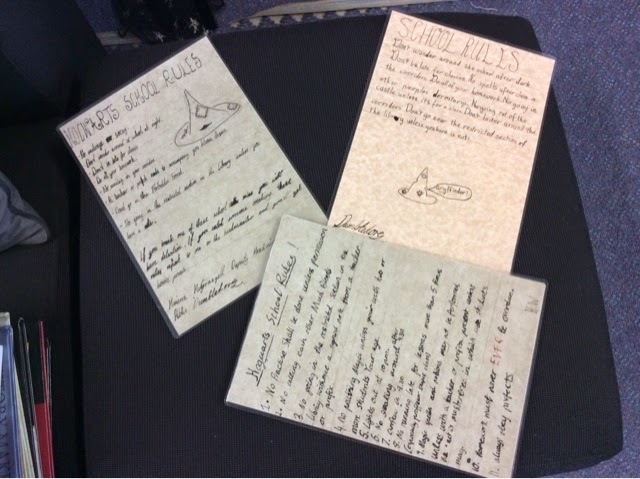 Next week we'll start a weeks worth of learning tasks for The Chamber of Secrets. 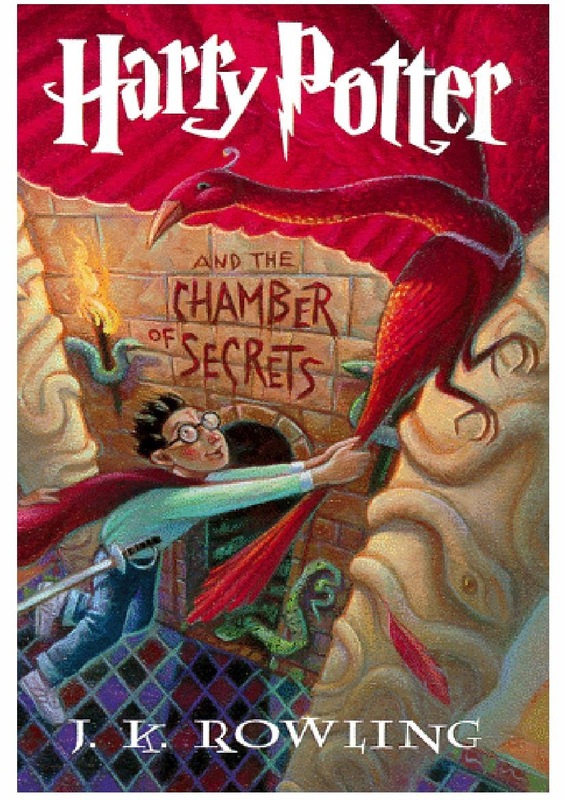 I'll post my unit plan ( which is now over 100 pages) on TPT next weekend?I've been talked into reading The Prisoner of Azkaban but that is it. 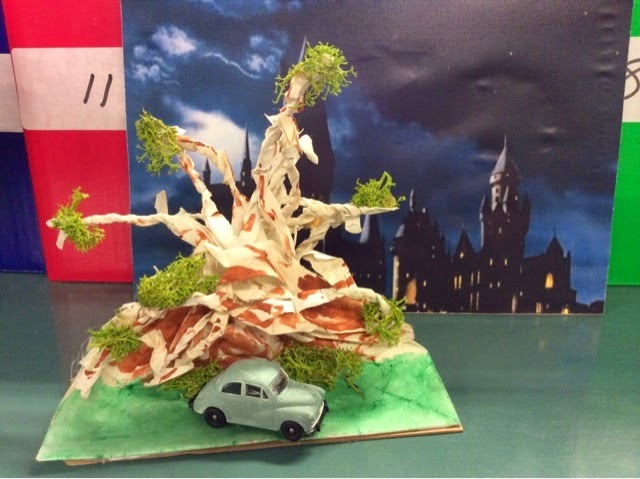 I finished off the whomping willow today complete with little blue car. I'll see if the kids want to try this. 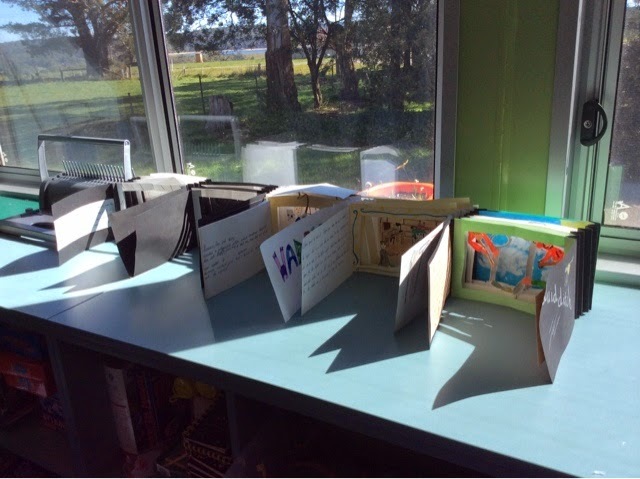 The kids made their Harry Potter chatter boxes today. Coloring them in and cutting them out. 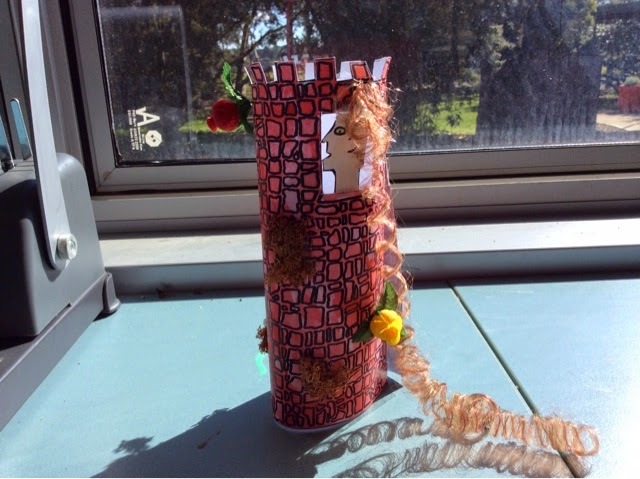 The grade 2 kids made their Rapunzel towers today. This one is 'drying' and will be put together tomorrow.